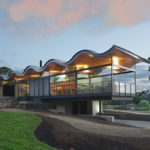 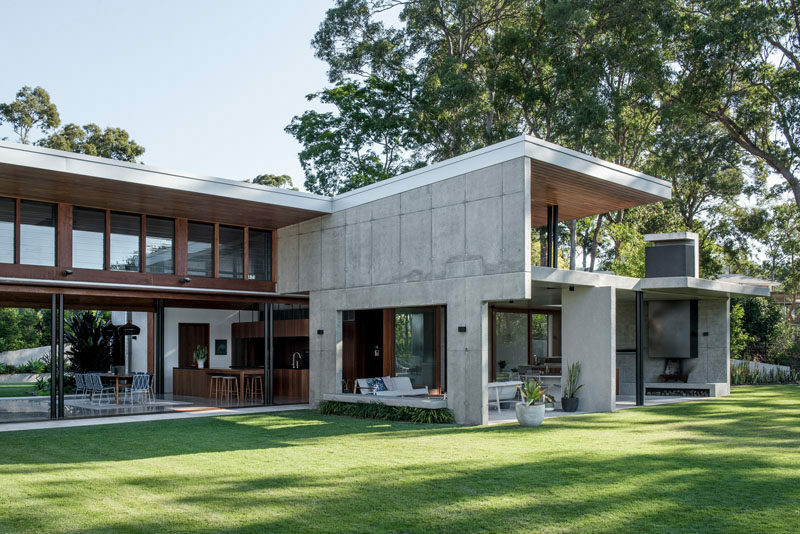 Shaun Lockyer Architects (SLa) designed this new modern family home near Brisbane, Australia. 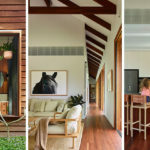 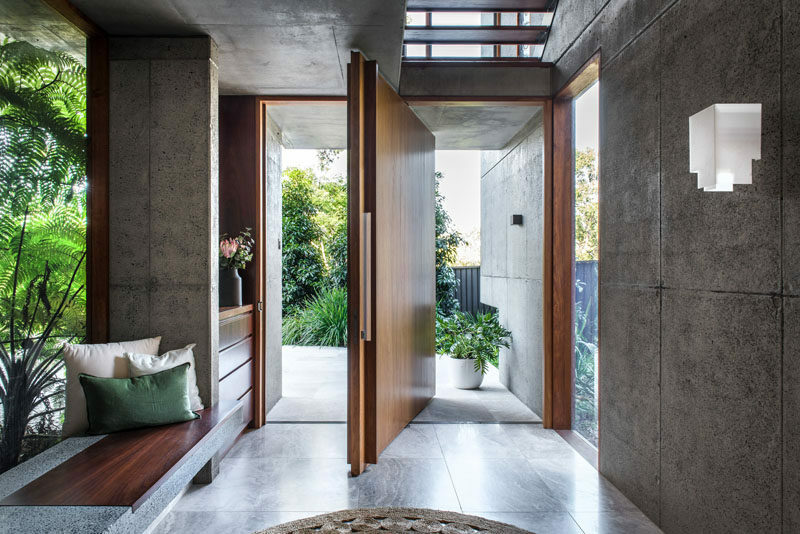 The interior of the home has a palette of sandblasted concrete, Spotted Gum timber and natural stone, to create a robust, warm and timeless aesthetic. 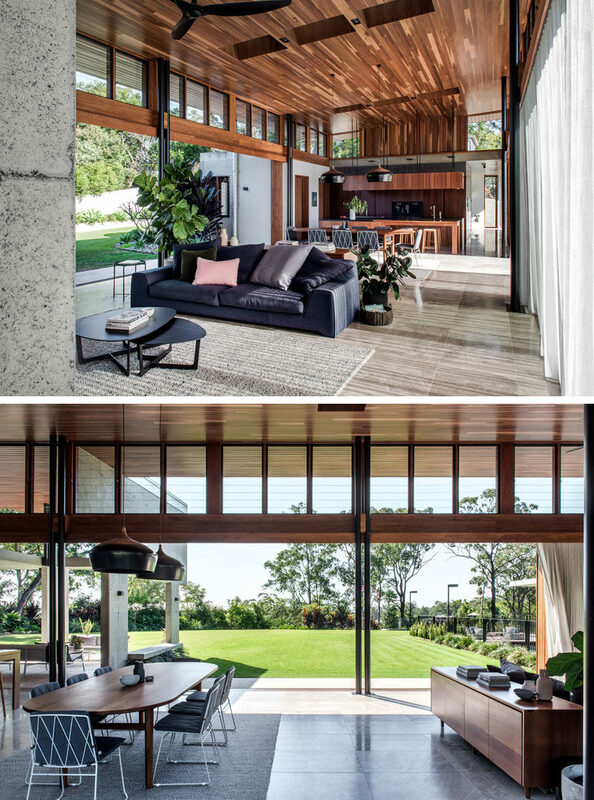 Sliding glass walls open the interior of the home to the backyard, creating an indoor/outdoor living environment. 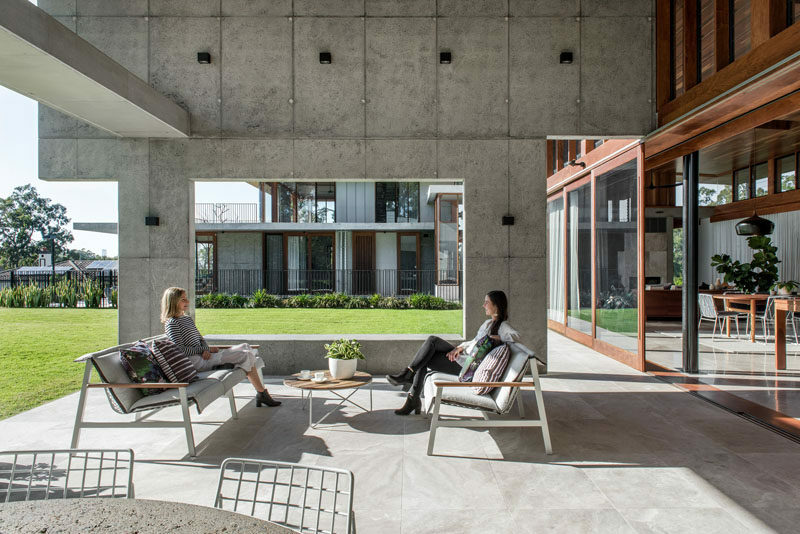 Outside, there’s a covered patio that provides a place for people to relax in the shade. 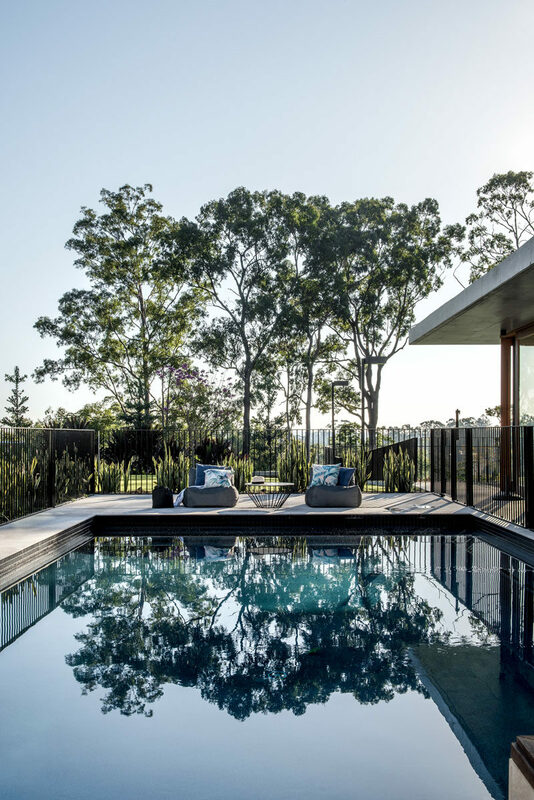 A swimming pool with views of the surrounding bush is ideal for cooling off on a hot summer day. 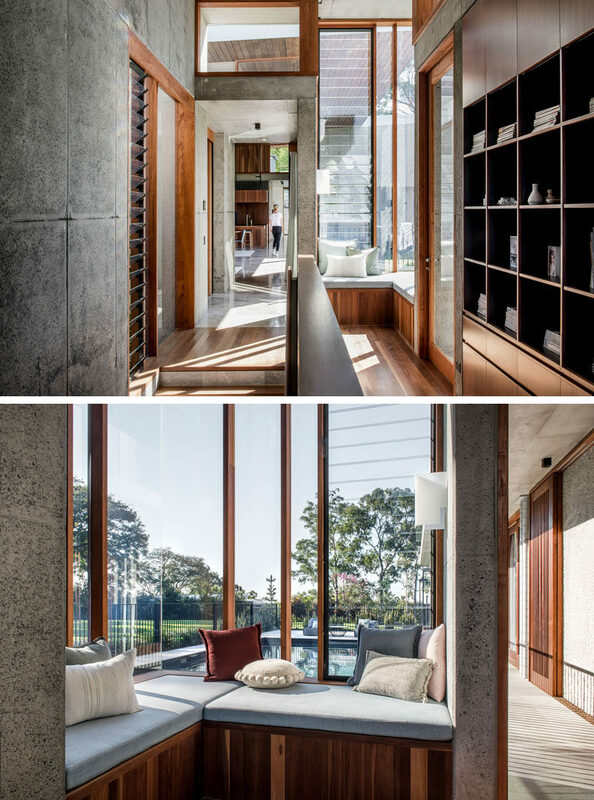 Back inside, and there’s a built-in corner seat that looks out onto the pool area. 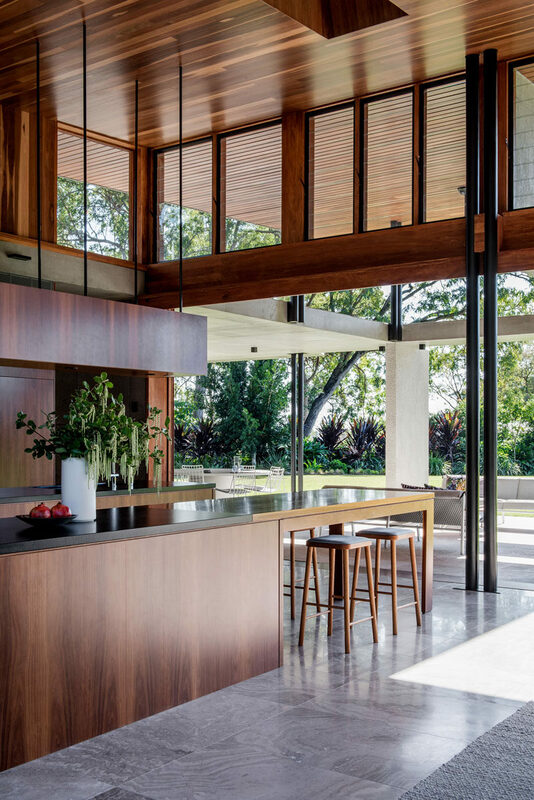 Louvre windows allow the breeze to flow throughout the home. 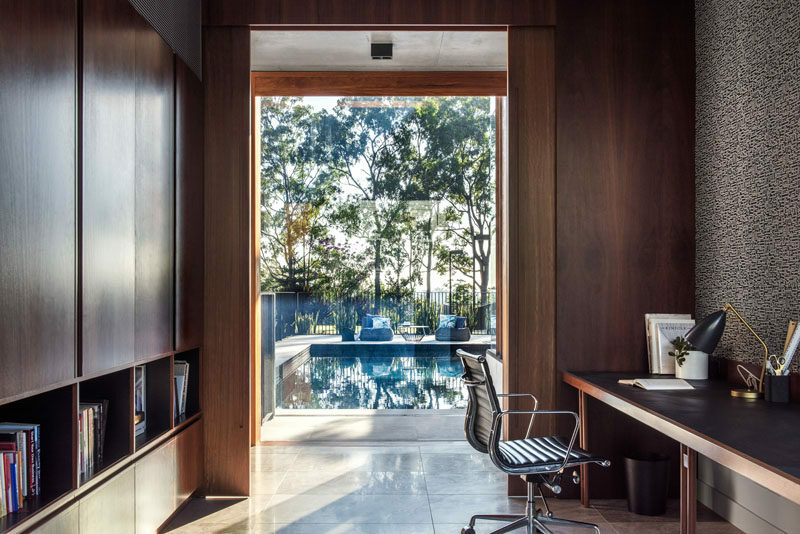 A home office with rich wood cabinetry is located down the hallway that runs alongside the pool. 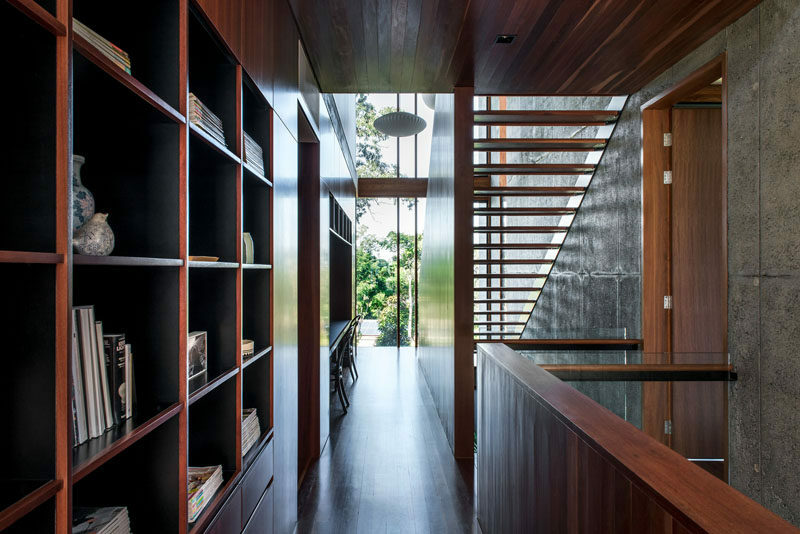 Additional cabinetry, open shelving, and a built-in desk, feature in another hallway by the stairs. 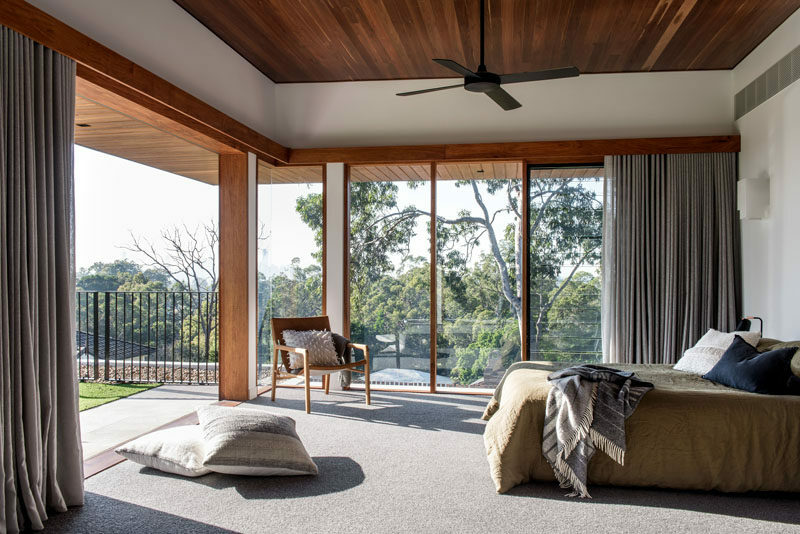 The master bedroom has floor-to-ceiling windows, and sliding doors that open up to a green roof overlooking the pool below. 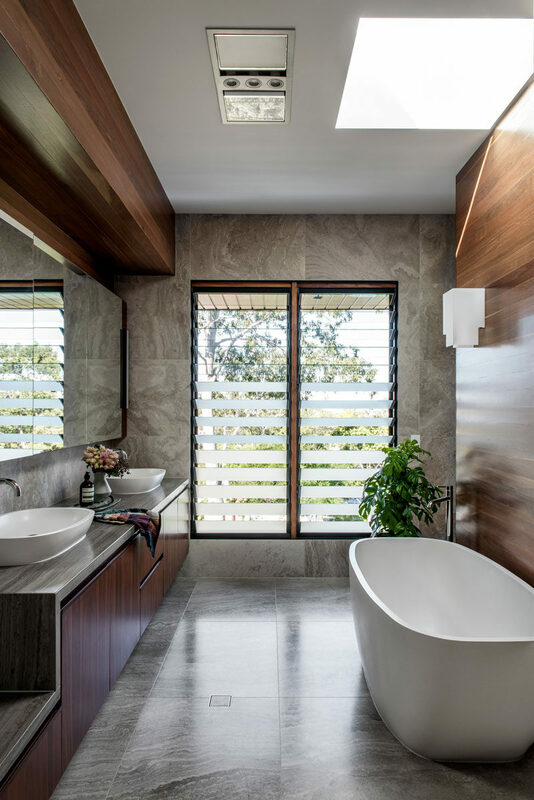 In the master bathroom, high ceilings create a sense of openness, while a skylight adds natural light to the bath area, and a large vanity mirror reflects the view outside.